The Grammy Awards Premiere Ceremony will take place at The Theater at Madison Square Garden on Sunday, Jan. 28, 2018, from 3 to 6 PM ET and will be streamed live internationally via Grammy.com/live and CBS.com. Preceding the 60th Annual Grammy Awards telecast, the Premiere Ceremony will feature performances by current Grammy nominees Body Count, India.Arie, Jazzmeia Horn, Taj Mahal & Keb' Mo', and Stile Antico. Singer, composer, and instrumentalist Paul Shaffer will host the ceremony and will serve as musical director while his World's Most Dangerous Band will serve as the house band. Presenting the first Grammy Awards of the day in approximately 70 categories will be current Grammy nominees Zac Brown, Natalie Grant and Bernie Herms, Ledisi, Lisa Loeb, and Neil deGrasse Tyson, and former Recording Academy Chair Jimmy Jam. 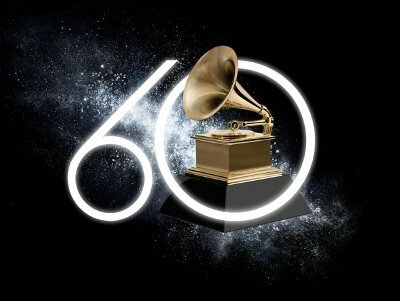 The live stream of the Premiere Ceremony will remain on Grammy.com as video on demand for 90 days following the event. The 60th Annual Grammy Awards will be broadcast live following the Premiere Ceremony on the CBS Television Network from 7:30–11 PM ET/4:30–8 PM PT. Ledisi is nominated for three awards this year: Best R&B Performance ("High"), Best Traditional R&B Performance ("All The Way"), and Best R&B Album (Let Love Rule). Body Count, Zac Brown, Natalie Grant, Bernie Herms, India.Arie, Jazzemia Horn, Lisa Loeb, Taj Mahal & Keb Mo', Stile Antico, and Neil deGrasse Tyson all have one nomination this year. Body Count for Best Metal Performance ("Black Hoodie"); Brown, with the Zac Brown Band, for Best Country Duo/Group Performance ("My Old Man"); Grant for Best Contemporary Christian Music Performance/Song ("Clean"); Herms for Best Contemporary Christian Music Performance/Song ("Oh My Soul"); Horn for Best Jazz Vocal Album (A Social Call); India.Arie for Best New Age Album (SongVersation: Medicine); Loeb with Nine Stories for Best Children's Album (Feel What U Feel); Taj Mahal & Keb' Mo' for Best Contemporary Blues Album (TajMo); Stile Antico for Best Chamber Music/Small Ensemble Performance (Divine Theatre—Sacred Motets By Giaches De Wert); and Tyson for Best Spoken Word Album (Astrophysics For People In A Hurry).